Dubway has been charged with restoring, digitizing, and archiving many older sources of audio, from analog reel to reel tapes from the ‘50s and '60s, 2" multi-track tapes from the '70s, '80s, and '90s, and vinyl records. Often, the noise on the original media can be reduced through application of digital noise filtration after the transfer. In addition, we've transferred many digital audio tapes directly into audio files for easier access with current software platforms. We can transfer your recordings from almost any media: vinyl, cassette, 2" 24 track, 1/2" 8 track or 2 track, 1/4" 4 track or 2 track, DAT, DA88, 16 or 20 bit ADAT, CD, all digital file formats (wav, SDII, MP3, aiff), Logic Audio, or ProTools. Bring us your old analog recordings and we will bring them back to life! 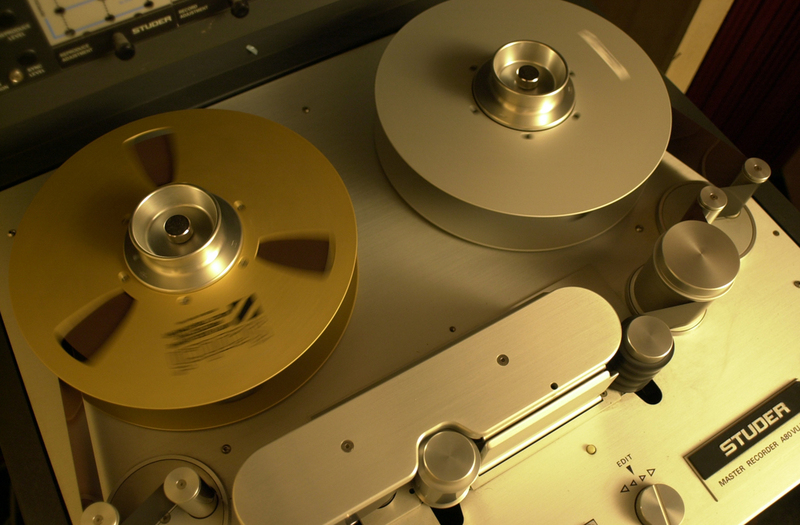 As you may know, analog tape starts to deteriorate after about 10 years. The binder loosens up and literally sheds off the tape, destroying your recording. Through a process called 'tape baking' we can render your tapes playable again. We then can make a digital or analog transfer of the original material, thus preserving your work for future generations to hear!